Washington, DC, October 04, 2018 — The American E-liquid Manufacturing Standards Association (AEMSA) and the Smoke-Free Alternative Trade Association (SFATA) announce the launch of a joint-venture, comprehensive Youth Education, Protection, and Prevention program – the YEPP program. As industry leaders in youth vapor product access prevention, both AEMSA and SFATA agreed to begin work on the YEPP program after their individual meetings with FDA Commissioner Dr. Scott Gottlieb and the Center for Tobacco Products this past spring, where the youth issue was addressed as an area of common interest and concern to all parties. Although the Commissioner calls out pod or cartridge style systems specifically to be the largest problem, and AEMSA and SFATA predominantly represent the open tank systems and primarily small business industry organizations, both associations firmly believe they are duty-bound to address the youth access issue. AEMSA and SFATA are industry leaders known for education, advocacy, and responsible, professional industry manufacturing standards, so it is not surprising that following the advent of Gottlieb’s announcement both associations thought it was important to launch the youth prevention campaign as it aligns with their longstanding positions to prevent access by youth of vapor products. Those announcements served to affirm the need for the program and resulted in today’s launch of the YEPP website and “WE CARE” program. 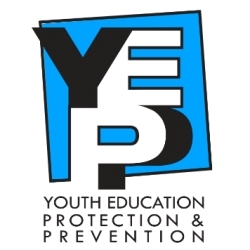 As the YEPP website indicates, the YEPP program takes a three-pronged approach to youth access issues. First, it educates youth on the dangers of vaping and nicotine addiction, and encourages young people to make better choices. Secondly, the YEPP program educates parents on what vaping is, as well as what to look for in their homes, so parents can readily identify vapor products their minor may be experimenting with. This same section offers suggestions on how to open a dialogue with their minor about vaping. The last section addresses retailers and provides different methods of identifying minors and suggests ways to avoid unintentional sales to minors. Lastly, the YEPP program includes a “WeCare” program that retailers will be able to subscribe to in the future. The WeCare program will provide marketing tips, policies, procedures, and training methods that can be implemented immediately, as well as other guidance for small businesses to be proactive in identifying minors. The WeCare program is still in development but is expected to be fully operational within a matter of months. Although Center for Disease Control numbers suggest that youth smoking rates have declined, and the last released data shows youth vaping rates have also declined significantly, Gottlieb states that new data will show a spike in youth use of vapor products. This is concerning to small business owners in the vapor industry and their trade associations, enough so, that many are excited about joining this new program and the ways it can be implemented in their daily business practices. AEMSA and SFATA both support age-to-vape laws and minor prevention, education, and training. Both organizations have been proactive in educating retailers, legislators, and communities on the science and facts on vapor products. Both also support and educate their member businesses on responsible business practice techniques. For more information, visit each at aemsa.org and sfata.org.